Rock Hill Optical Services is located inside our Rock Hill and Fort Mill locations for the convenience of our patients. They offer a large variety of eyeglasses, contact lenses, lens care supplies, and low-vision aids. Their staff will assist in the training of insertion and removal of contact lenses, as well as care and maintenance. 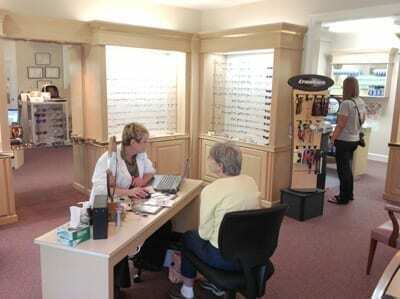 The optical department of Rock Hill Eye Center will no longer accept Opticare after April 24, 2011. This includes Absolute Total Care members. Transitions SOLFX performance sun lenses are specifically designed for outdoor activities to help enhance visual performance. Crafted with functionality in mind, Transitions SOLFX lenses automatically adjust to optimize lens color and darkness in changing outdoor lighting conditions.